Well, this blog is all about dealing with your dilemmas on this particular topic. Have a look! We all are familiar with the basic needs of the human being. They comprise of food, water, shelter, clothes, and air. Let’s discuss more on the topic- “Shelters” in detail. In earlier days, houses were meant only for the purpose of shelter. As generations passed, this basic need of having a shelter gradually changed and become a commodity to show one’s rich lifestyle to the world. The shelter has now become a prestige issue for many. If your dream house is constructed and carried out with a professional touch, then there is no doubt you can top among others. When planning to build a house or even a building of your own, what you require the most is someone who understands your concept and someone who can help you to create your dream space at the most affordable prices. Most of us have less knowledge of planning and designing the plan for your dream house or building, it is ideal to consult an architect. They are the right people to assist you to reach your goal. The next immediate question is how to get a good architect. You will be searching for a good architect among the list of famous architects in Kerala. Knowing this need, there might be numerous set of architects or even group of architects. Mariya group is renowned for being the best architects in Kerala as well as in Bangalore. We bag the top position in the list of famous architects in Kerala. To win this title not as simple as you think. 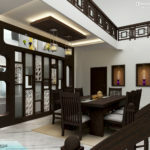 We owe skilled and professional experienced architects in our company and this helped us to fulfill the needs of our customers in designing their dream home or dream building according to their wish by combining our professional works. We are one of the best architecture companies in India. Our aim is to build eco-friendly homes as well as buildings to our customers.